"The practice of massage therapy is the assessment of the soft tissue and joints of the body and the treatment and prevention of physical dysfunction and pain of the soft tissues and joints by manipulation to develop, maintain, rehabilitate or augment physical function, or relieve pain." We have over 8 registered massage therapists offering a wide variety of massage modalities. 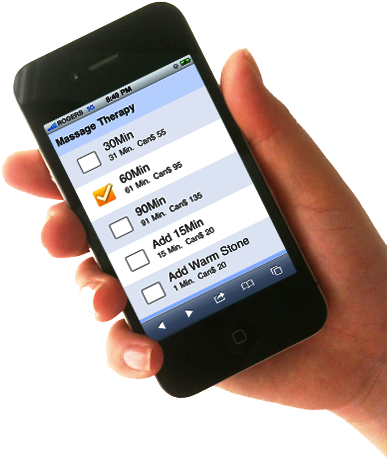 Please let us know what your preferences are when booking your appointments to maximize your massage experience. First visit? Please arrive 10 minutes early on your first appointment to fill in a brief health intake & consent form. Massage therapy is covered by most extended health insurance plans, please check your coverage. We do not do direct billing, however, insurance receipts will be issued to you post treatment for reimbursements.